The aims of the present study were to develop and evaluate different formulations of probiotic and synbiotic sorbets produced with jussara (Euterpe edulis) pulp, polydextrose, Lactobacillus acidophilus LA3, and Lactobacillus paracasei BGP1. The pasteurized jussara pulp presented high content of phenolic compounds, especially anthocyanins, which were not inhibitory to the probiotics used in this study. The levels of polyphenols and anthocyanins present in the sorbets were also high and kept stable for 120 days, as well as the populations of both probiotics. On the other hand, probiotic populations reduced ca. 4 log CFU/g when exposed to simulated gastrointestinal fluids. Altogether, the sorbets produced in this study showed interesting results, indicating the viability on producing functional foods with probiotics, prebiotics, and other components that are rich in polyphenols, such as jussara pulp. The combination of these elements can improve the health beneficial effects of these compounds and provide important advantages to the intestinal microbiota of consumers. 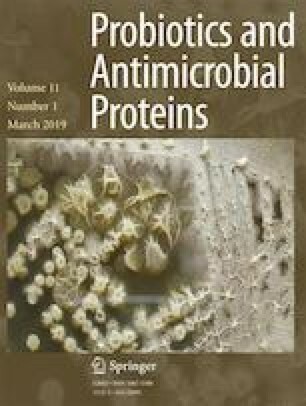 The authors are thankful to CAPES (Coordenação de Aperfeiçoamento de Pessoal de Nível Superior) for financial support and scholarship, to Alicon Agroindustrial, Sacco Brasil, DuPont, and J.R.Cenzi for providing the resources used in this study and to Marcelo Thomazini for technical support.